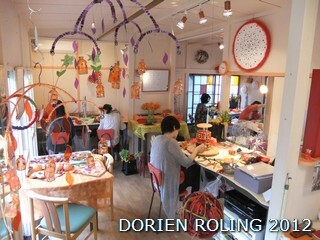 Dorien Roling ドリーンフラワーデザイン Dutch Christmas display. 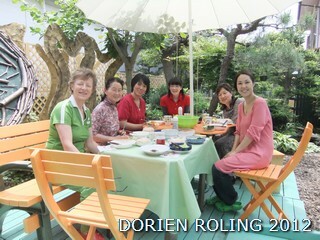 Dorien Roling Restaurant Flower Lesson Restaurant GARB. How was your 3 day's holiday ?? The weather is great, cool air !!!!!! 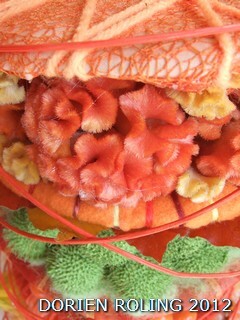 Detail of the Halloween design in circles. Kumiko san for cooking a very delicious luncheon. We had a very inspiring and relaxing day together. our 8th visit with our ATATAKIA KOKORO Project. TOHOKU . Thank you for your support !!! Eco design frame-flat and round aluminum wire. by the Netherlands government and VBW. 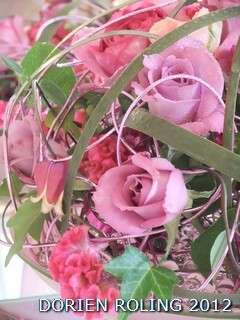 Detail of Rosa "Purple Rain" with her GREAT SMELL. 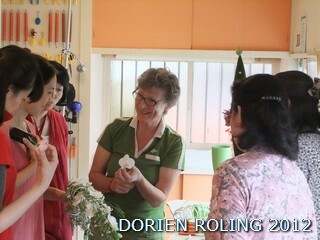 started in 1994 at "DE MASTER FLOWER SCHOOL"
Korea, Hong Kong and Taiwan. 19th July from 19:00 pm. Enjoy your moment - RELAX and keep SMILING. is shinning for us all. 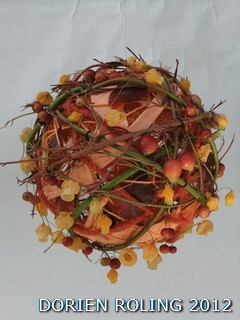 Photo; Trendy Design Course - Bridal bouquet. 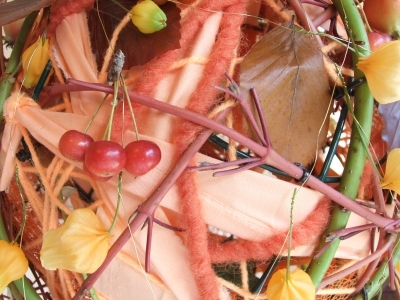 Questions by students how to make. in the garden of Totsuka atelier. enjoy the food. 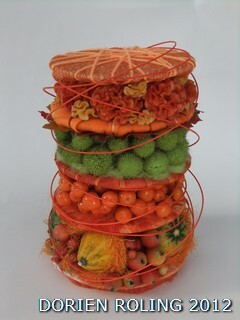 Thank you Kumiko san oishikatta !! to learn new trendy design. Enjoy your moment !! 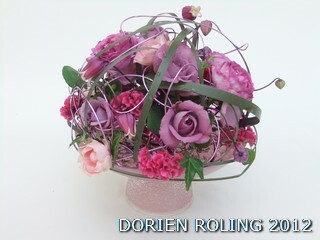 With Love Dorien.